Fearne Catwa applier is available at Skin Fair: March 9th through to Sunday March 25th. Find us located on the North Sim here! 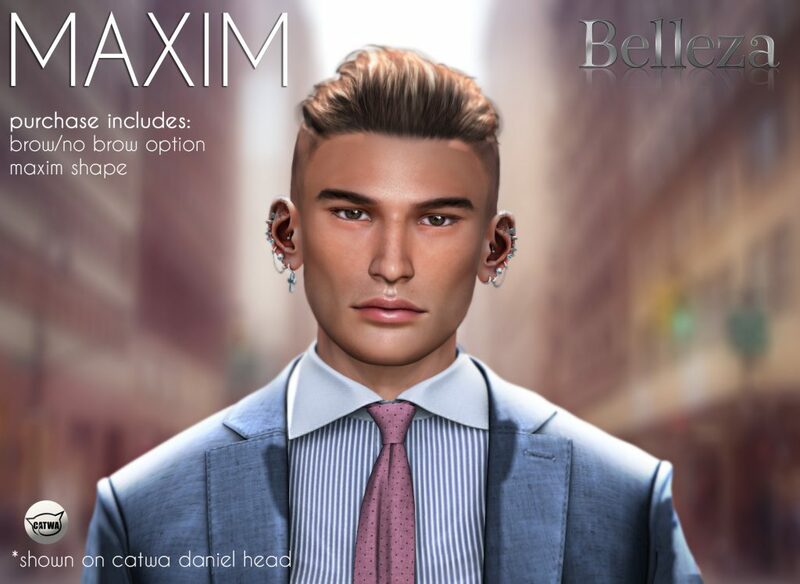 Maxim catwa applier is available exclusively at Ultra! Each skin tone purchase includes brow/no brow option and the maxim shape. Catwa mesh head applier Verity comes in 7 skin tones and 5 brow options. Piper Catwa Mesh Head Makeup Add-Ons available exclusively at Blush. Includes: 6 Eye Shadows and 6 Lipsticks. Hazel is our newest Lelutka mesh head applier release available exclusively at The Seasons Story. She comes in all 7 skin tones and includes matching base skin and 5 brow options. Catwa mesh head applier Holly comes in all 7 skin tones and includes matching base skin and 5 brow options. We’re pleased to be in this month’s round of the Men Only Monthly event with our new catwa applier Sean! The applier comes in Medium, Sunkissed, Tan & Deep Tan. Each skin tone purchase includes a brow/no brow option and the Sean shape. Lelutka mesh head applier Bella comes in 7 skin tones and 5 brow options.